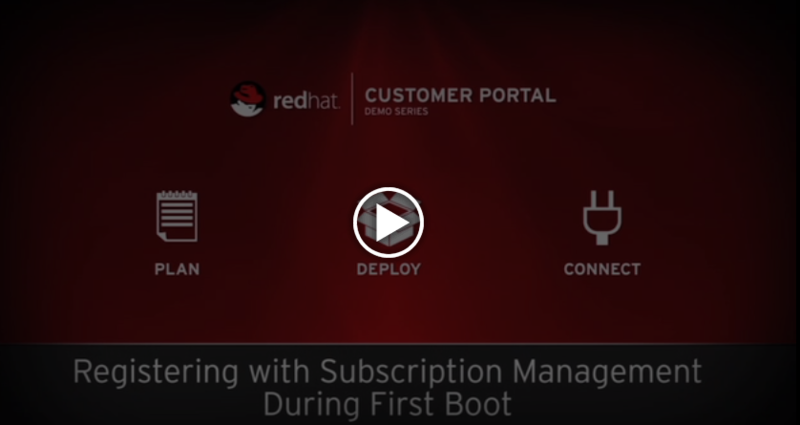 Red Hat Subscription Management (RHSM) is a customer-driven, end-to-end solution that provides tools for subscription status and management and integrates with Red Hat's system management tools. When you purchase a subscription to a product, RHSM tracks which system(s) in your inventory are registered to the subscription. Registered systems are entitled to support services, as well as errata, patches, and upgrades from the Content Delivery Network (CDN). Easily determine the relationship between systems, subscriptions, and contracts. View a summary of subscription utilization, making purchase and renewal decisions easier. View a summary of contracts, including a view of the systems using subscriptions purchased with each contract. Control your consumption and allocation of subscriptions with local system, hosted, on-premise, and public cloud tools. View subscription compliance status across all systems at a glance. View a summary of errata that applies to all of your systems, and errata specific to each system. Visit RHSM and ensure that you have at least one active Red Hat Enterprise Linux subscription. If you need a subscription, you can purchase one from the Red Hat Store, contact Red Hat Sales, or via a Red Hat Partner. Determine if you are going to register with the hosted subscription management service on the Customer Portal (online or offline systems), or with an on-premise Red Hat Satellite server. If you’re planning to use your Red Hat subscription in a public cloud, learn more about Cloud Access. Our assistant will guide you through the options and steps necessary to register your Red Hat Enterprise Linux systems. How can I register Red Hat Enterprise Linux systems to a Red Hat Satellite server? A brief overview of functionality that can be used to mange Red Hat subscriptions from the Red Hat Customer Portal. If you want to use an on-premise subscription management solution, we recommend Red Hat Satellite 6. Red Hat shut down the RHN UI on July 31, 2017. If you have not transitioned to RHSM yet, your systems are no longer receiving updates. Red Hat offers subscription services for each major release of products throughout four life-cycle phases—called Production 1, 2, and 3, and an Extended Life Phase.